New Orleans After days of work on campaigns and the principles of negotiations, the leaders of Amani United in Milwaukee were ready to practice what they had learned. The leaders divided into two groups, one representing the officials of the city’s transportation system and the other representing Amani United. The issue at hand was a proposal by the city to reroute bus #80 which is a lifeline for the neighborhood to downtown, work locations, grocery, health and other services. Negotiation skills don’t natural to people. Rage is natural, while wisdom is earned, especially when it comes to making a case and winning from a position of relative powerlessness. People would like to get along. People would like to believe their voice is important and heard, that their issues and interest matter. Even when they know better, the natural tendency is to try to be reasonable. And, then if that doesn’t work, the rage kicks in and becomes something that is no longer a tactic, but something uncontrollable. We happened to have a camera on part of the role play, and it’s instructive even when it starts out shaky in the beginning as the tripod finds its footing, as anyone can see on the YouTube video on the ACORN International channel. 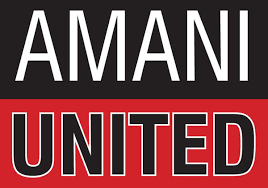 The Amani team begins formally, but despite their preparations seeks a middle ground by asking questions of the official team, rather than clearly stating the position relative to their members or their demands. The official’s team, very realistically, recalibrates what Amani had hoped was a negotiation over the route to just another input session where they didn’t have any authority to act, but were simply sponging up the anger. Also, realistically, despite the commitments to have a chief negotiator and call caucuses, both committees fell back into old habits quickly allowing a free-for-all of back and forth to divert any hopes of the Amani team to win anything here. After a break to get back on track in the first video, the second video shows a whole different approach. This time the Amani team is more formal. Question time is over, and left for the British Parliament. Demands are more clearly stated, and the response is awaited. The transportation team responds well by trying to deflate the demands as “valid questions” and when pressed over their authority to negotiate offers to refer what the committee demands to bigger bosses by giving them his phone number. It’s on! People learn quickly, and practice makes perfect. I found myself laughing earlier in the meeting when there was some confusion and the acting chair didn’t call for quiet, but called CAUCUS.